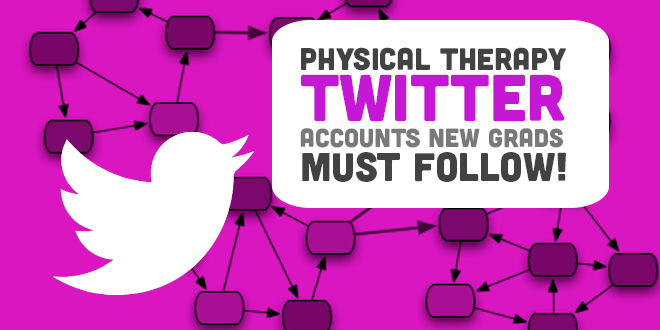 Physical Therapy Twitter Accounts You Need to Follow: Update!!!! New grads and experienced therapists can dive into an expansive sea of information provided by experts within the physical therapy field. Obviously, there are some organizations that have not created Twitter accounts yet, but stay tuned! This article will be updated as we find exciting new PTs and groups for you to follow!